If you happen to be one of the few people that does NOT include your homeowner’s insurance with your mortgage, you will love this Annual Homeowner’s Insurance Sinking Fund Chart! There was a time when I wanted to pay our homeowner’s insurance myself. I didn’t want to depend on our mortgage company to do it. To me, that left room for mistakes to be made. However, it was tough when the bill came … because I didn’t plan for it. I had purchased a duplex at the sweet young age of 21 and, although I was pretty good with money, there were so many directions for it to go. A sinking fund chart would have saved the day! Gain access to the Homeowner’s Insurance Sinking Fund Chart below! When you print, I suggest using Card Stock for durability. Determine how much you need to save for your annual homeowner’s insurance and write the amount in the Goal Box. Divide your saving goal by 10 and write it in the Amount Per Section box. Write each increment on the lines shooting off the graphic with the smallest on the bottom. If you plan to save $700, you would write $70 on the bottom line, $140 on the next line, etc. Divide your Amount Per Section by 10 and write it in the Amount Per Line box. As you save, color in the lines! Each increment consists of 10 lines to fill in. If you plan to save $700 and each increment represents $70, each line would represent $7. For every $7 you save, color in a line. Add your annual homeowner’s insurance to your monthly spending plan. 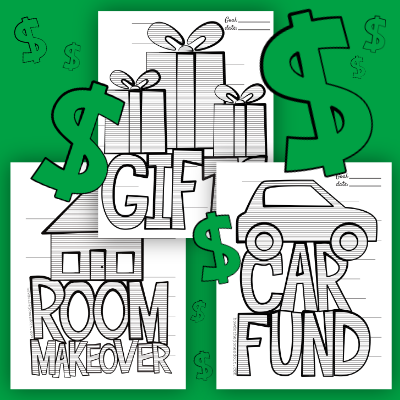 If you need to save $700 for annual insurance, put $60/month into a sinking fund for that purpose. These days, our homeowner’s insurance and property taxes are included with our mortgage. So far, so good. If we change back to paying them separately, this Homeowner’s Insurance Sinking Fund Chart will come in handy! You Did It! Check your email to confirm your subscription. Pasword: money Your email confirmation also contains this information! Enter the Free Resource Library for my latest printables! Password: money Thanks for being a Rockstar!